Adventurous travelers will love this waterfall climb, with hidden pools, towering waterfalls, swimming spots, and mountain views. Climb steel ladders and cross high, narrow bridges. Enjoy a picnic lunch beside beautiful falls. 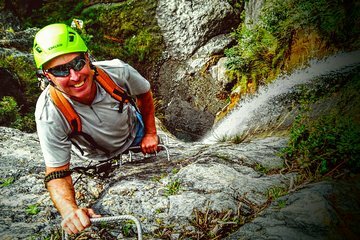 While no experience is required and full safety briefings are given, this trip is best suited to active travelers who are sure-footed and unafraid of heights.